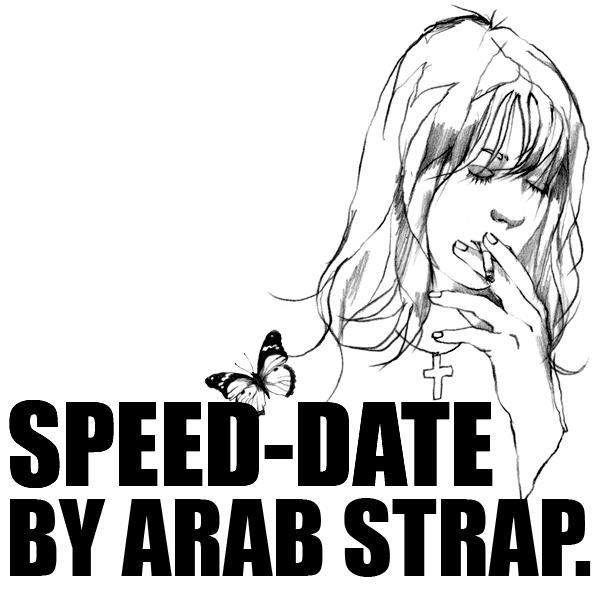 As a youngling listening to the Evening Session, I remember hearing the first 7" from Arab Strap and thinking it sounded odd-as-you like; but in a good way... Fast forward how-ever many years, and I still harbour a soft-spot for The Strap - a job made all the easier when they release great stuff like this. Culled from their 'Last Romance' LP, 'Speed-Date' (scarred onto gummy-clear vinyl no less) comes mighty close to bettering L. Pierre's Tennants-diatribe 'C*nted Circus'; wherein a tarnished platter of drizzle-beats, polemical vocals and sea-saw strings unite to dizzying effect. Something so rough has no right to be this smooth; strap it on you wee daftie!